How many times, it happens that we miss the functionality of a basic call, text and reminder scheduler in our smart-phones that can interrupt us when desired and can accomplish the scheduled task. There are times when we want simple reminder or alerts just while sometimes we want tasks like calling someone or texting friends automatically to be done by a scheduler app. Well folks, if you are looking for a good scheduler app for iPhone that could schedule your call/ texts and automatically trigger them based on location then location alerts is a perfect choice for you as it lets you schedule call, text and reminders/alerts(voice and text) and triggers them automatically based on location. Can send text messages when you reach to a specific location. Connect a voice call automatically when you are in a specific area. 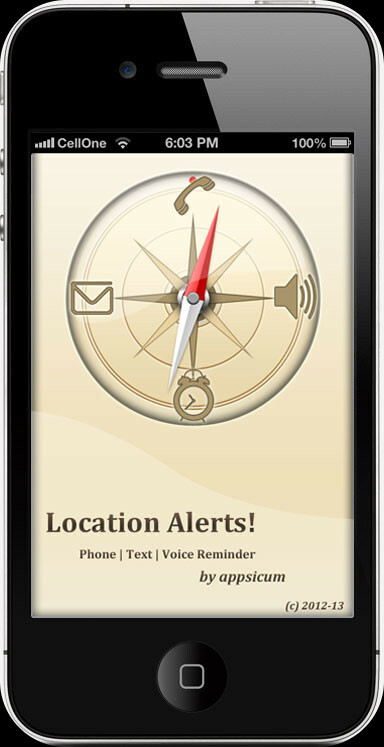 Create Voice/Text Reminders and Alerts for you when you are in a particular area. Now wanna know in which circumstances this app can be useful? You are leaving the office for a party but there is a twist. You forgot that you were supposed to call wife so that she can get ready by the time you reach home to pick her up. How great it would be if location alerts app could send a message or connect a call automatically when you leave from office so that she knows about your schedule! Let us consider another scenario. You need to pick something up from downtown, but it doesn’t require you to go immediately. Suppose how nice it will be if someone like location alerts could remind you when you were nearby this location. To make all this more flexible, Location alerts allows you to set recurrence for individual week days rather than limiting it to just traditional weekly or daily kind of set-up. 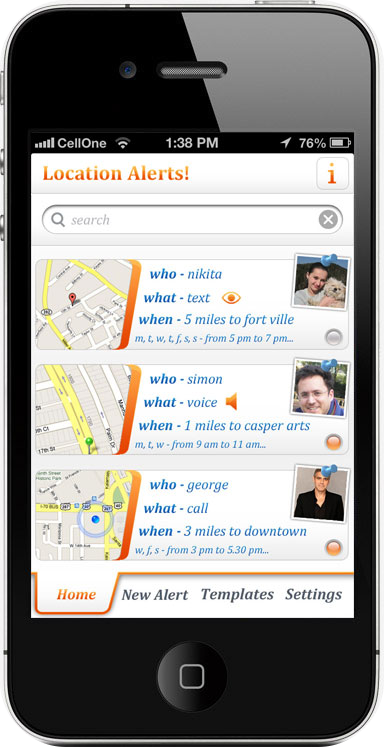 App have a quite beautiful interface and developed just to simplify your life. So, are you ready to experience.